Bibliographic entry Gregory, P. (2012). Order of Darkness: Vol. 1. 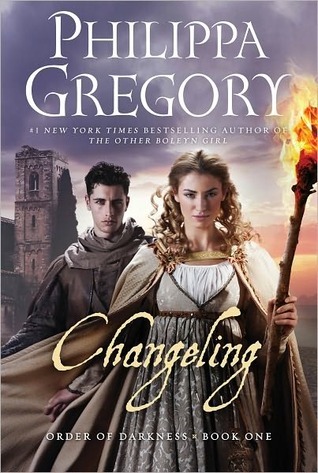 Changeling. Toronto, Canada: Simon Pulse. Description The setting is Europe in 1453 and Luca, having grown up in a monastery, is asked to take on the work as an inquirer for the church. He meets Isolde, a young woman trapped by her inheritance in a nunnery, and together they uncover dark secrets about the monastic order. Reaction It’s a quick, mysterious, historical read with strong female characters, and strong male characters. I think the cover might make it a hard sell for the male teens in my secondary school library, but if they could get past that, I think they might enjoy it. Posted on November 4, 2012 by banana29Posted in UncategorizedTagged book reviews, books, Changeling, children's literature, collection development, historical fiction, Philippa Gregory, secondary school library, young adult fiction.